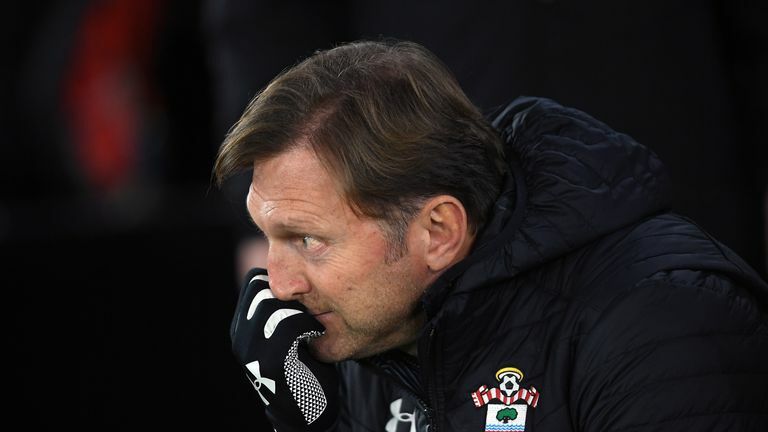 Southampton boss Ralph Hassenhuttl says his side did not deserve to go through to the FA Cup fourth round after throwing away a two-goal lead against Derby. Ralph Hasenhuttl admitted Southampton gave away a big chance to reach the fourth round of the FA Cup after his side let slip a two-goal lead before eventually crashing out on penalties to Championship side Derby. Goals from Derby duo Harry Wilson and Martyn Waghorn ensured the game finished level after 90 minutes after quick-fire strikes from Stuart Armstrong and Redmond had put Southampton in firm control of the tie. With neither side able to find a winner in extra-time, Richard Keogh eventually converted the decisive spot-kick for Derby after Nathan Redmond failed to find the target from 12 yards, leaving the Saints to focus on their battle for Premier League survival. "It's a nightmare I think because we had again a big chance to be in the next round and gave it away," Hasenhuttl said. "If you have two times a chance to win and don't do it then you don't deserve to be in the next round so congratulations to Derby County. "We have to concentrate on the Premier League now." Derby had come from two goals down to draw 2-2 in the initial tie on January 5 and they repeated the trick on the south coast on Wednesday evening. Hasenhuttl thought Derby's comeback at Pride Park played a part in the replay. "We didn't have a good first half but we made the right decisions at half-time and change the system and the shape," he said. "It was much better in the second half as we had more chances and more pressure in front. "After the 2-0, we were maybe thinking about what happened in Derby and then at 2-1 you could feel that the guys were a little bit nervous and they got the second goal. It was too easy. "In extra-time there were three great chances for us, also for Derby too but both teams were struggling and in the shootouts it's always about luck but they deserved it more because they fought back twice."